I went to the Popular Bookstore Warehouse sale yesterday and got deeply disappointed by the limited number of titles, and the fact that the books are still a tad more expensive than I expected. 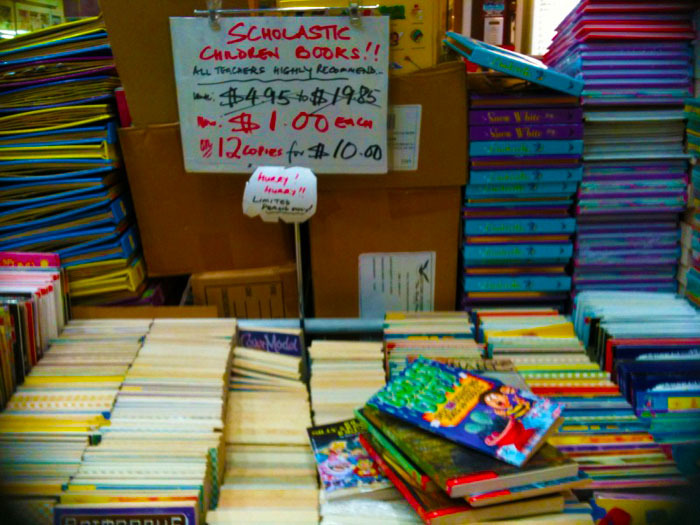 I attended the Warehouse Sale (also in Singapore Expo), December of last year and you could really see that the books there were on SALE, at 2 dollars/5 dollars per title. At any rate, I wouldn’t have minded spending (on books), if the titles were appealing. 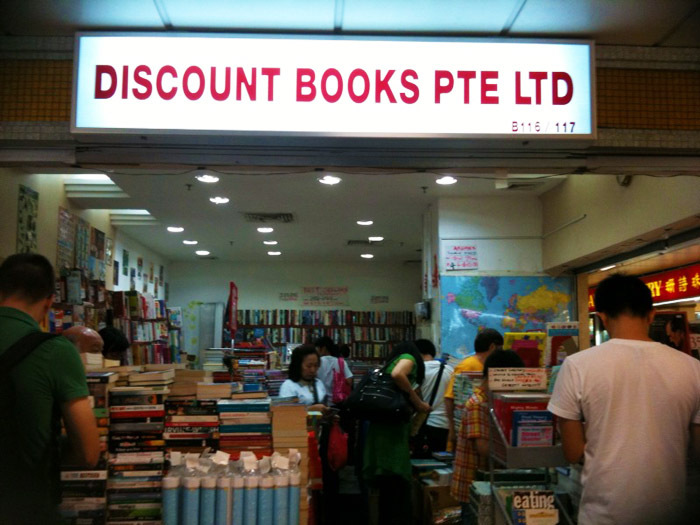 While the place is huge, they have more assessment books on sale than fiction/non fiction titles. 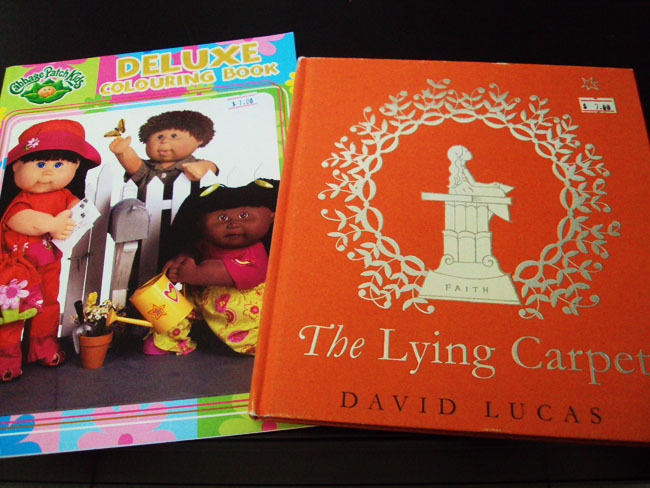 This is for a limited time only, so I suggest that children’s book aficionados visit as soon as they have the time. 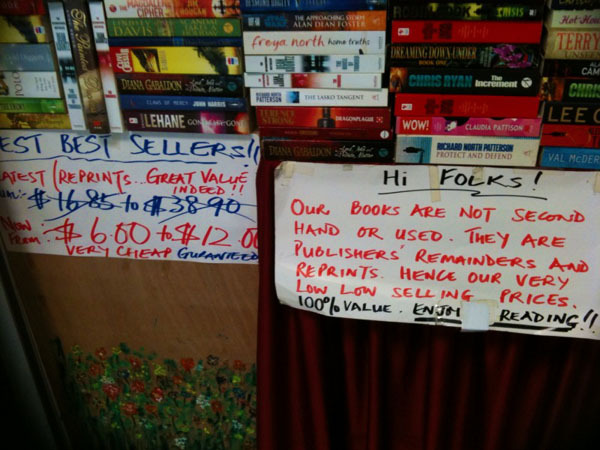 Regular prices are still quite cheap though (4 books for 10 sgd, I believe). 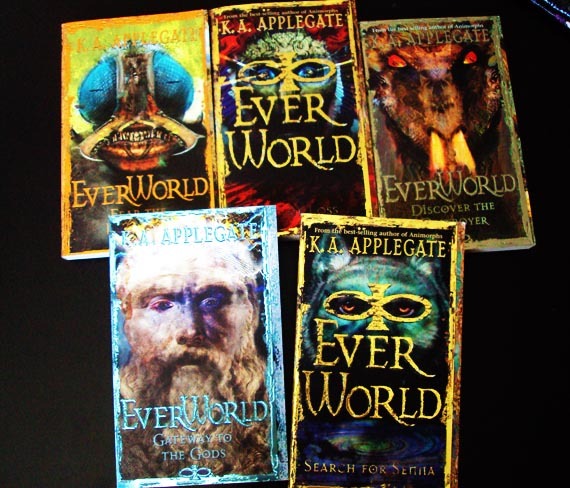 It’s my first time to have books by K. A. Applegate, but I have heard of her Animorph series. 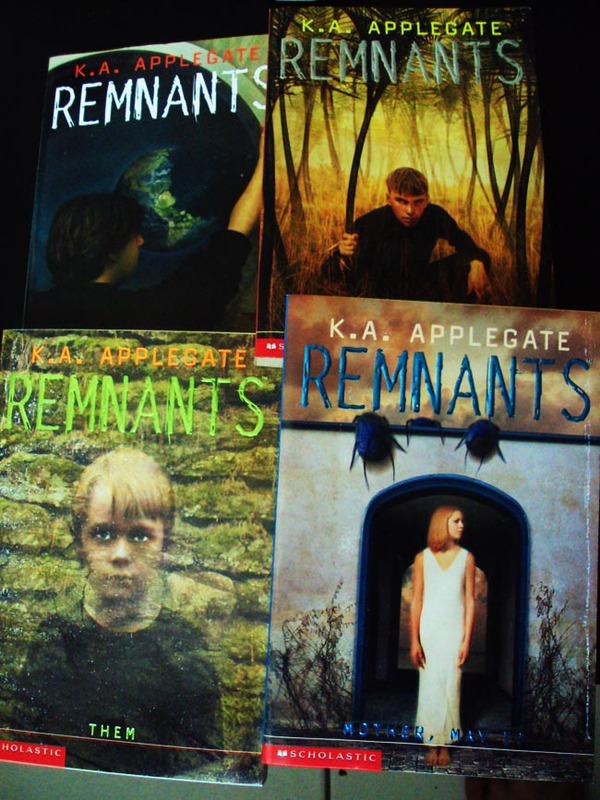 This one would be four out of the 14 Remnants books that she has. And since I love Series (this one also falls under the category of sci-fi, which we sorely lack here in GatheringBooks) – I thought this is not a bad buy for 1 sgd each (not even 1 dollar each since I got 12 books for 10 sgd). It kind of reminds me of Clive Barker’s Abarat or Weaveworld. Let’s see whether these young adult fiction titles hold a torch to the surrealists and darknesses of Barker and Gaiman. 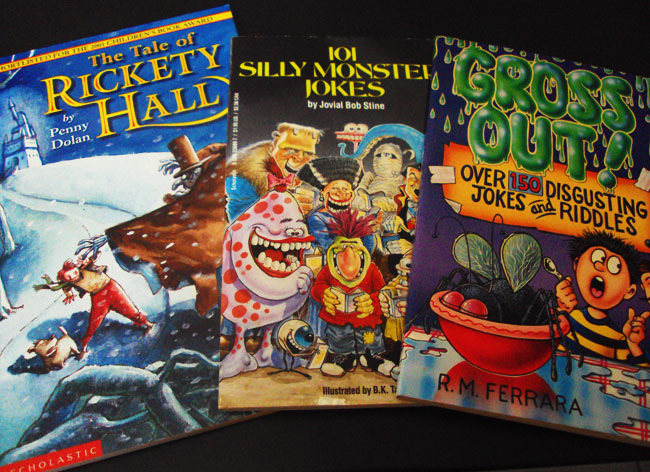 These three are still part of their 12 books for 10 sgd sale. Caela is still on a jokebook frenzy, and I noted that The Tale of Rickety Hall has been shortlisted for the 2001 Children’s Book Award. Mighty interesting. And it’s quite thin, I am sure my eight year old would be finished with this in half a day. Again, not bad for less than a dollar’s worth of spending, right? 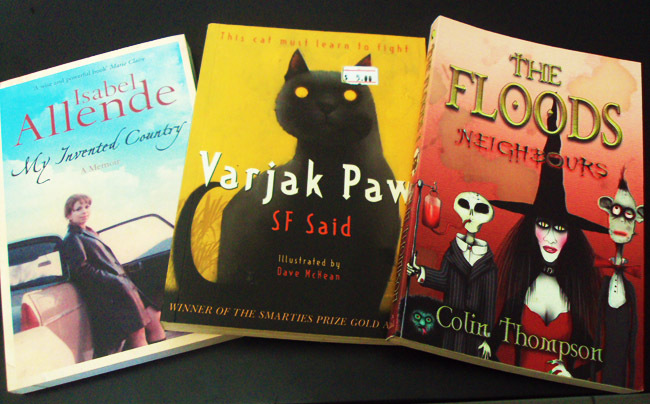 I nearly shrieked with glee when I saw Colin Thompson’s The Floods. I absolutely adore all his picture books and I know that he has this Floods series going on, but no I have not found it in any of the community libraries nor in our own NIE library. So this is a FIND for me. These three babies I got for 12 dollars in all. Varjak Paw is likewise a wonderful Find, since it’s illustrated by Dave McKean and has been awarded the Smarties Prize Gold Award. And of course, Isabel Allende is Isabel Allende. I have a collection of her works. 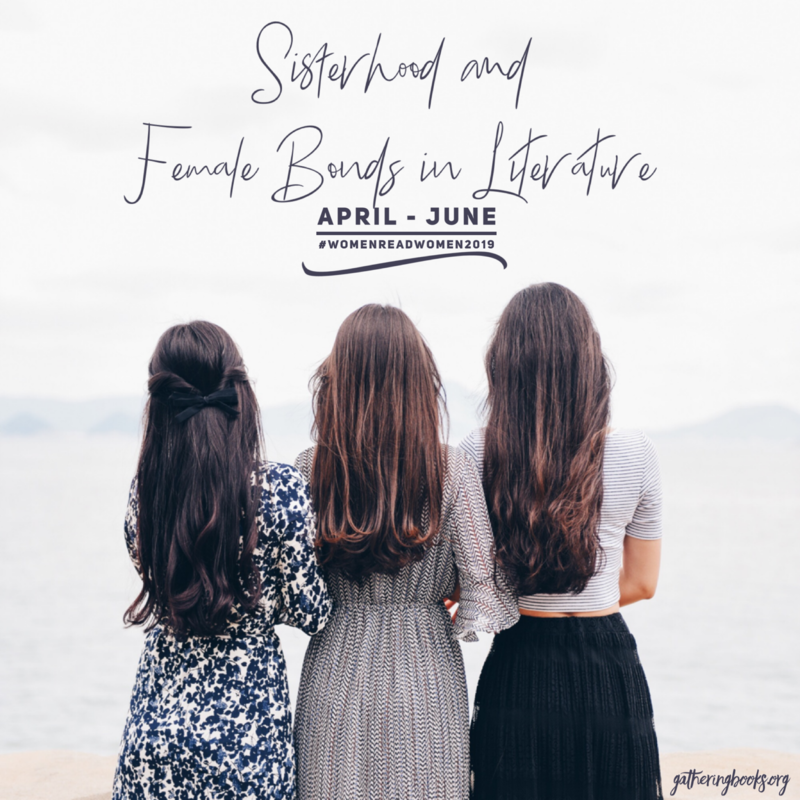 I am currently reading her Paula and crying buckets of tears as I turn each of the page while I marvel at the surreal and magical way she writes. 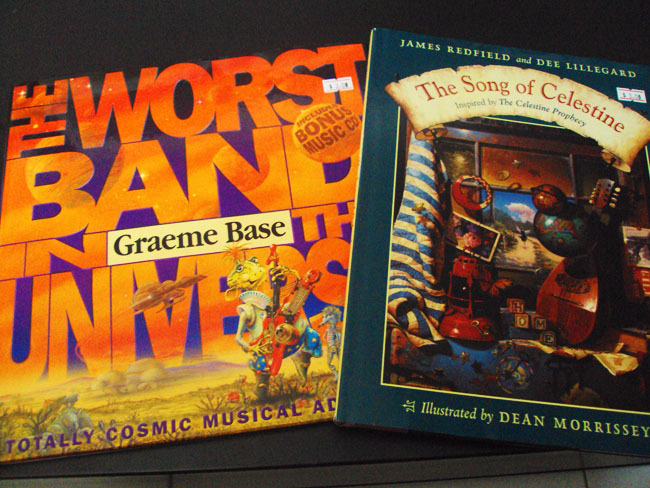 Both my daughter and I screamed aloud when we saw Graeme Base’s book, and it’s for 3 sgd! And guess what, it comes with a CD! What a treat. I am also amazed at the fact that there’s a children’s version of The Celestine Prophecy which I’ve read around 10 years back, The Song of Celestine. The illustrations are amazing, and yes it’s also for 3 sgd only. they have a magical quality to them that makes you want to really read the narrative and find out what is going on in the pages. 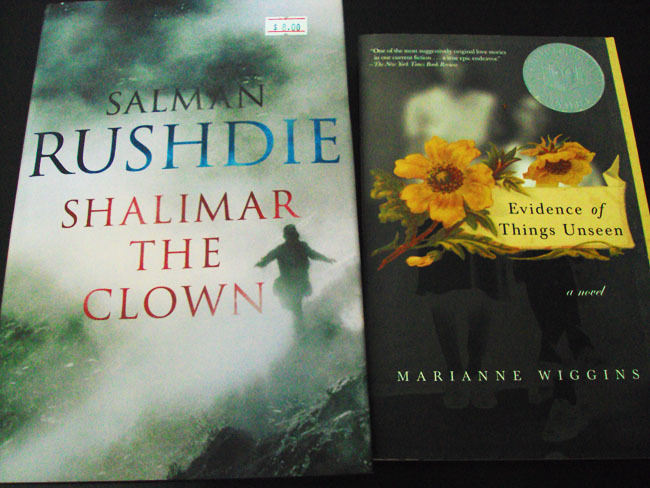 I am also happy to see a Salman Rushdie book on sale. Getting a hardbound version of Shalimar the Clown for 8 sgd is definitely not bad. My attention was also caught by this title Evidence of Things Unseen by Marianne Wiggins. It’s a Finalist for the Pulitzer Prize in Fiction, a Los Angeles Times Best Book for the Year, and a National Book Award Finalist. And yes, I got it for 5 sgd. 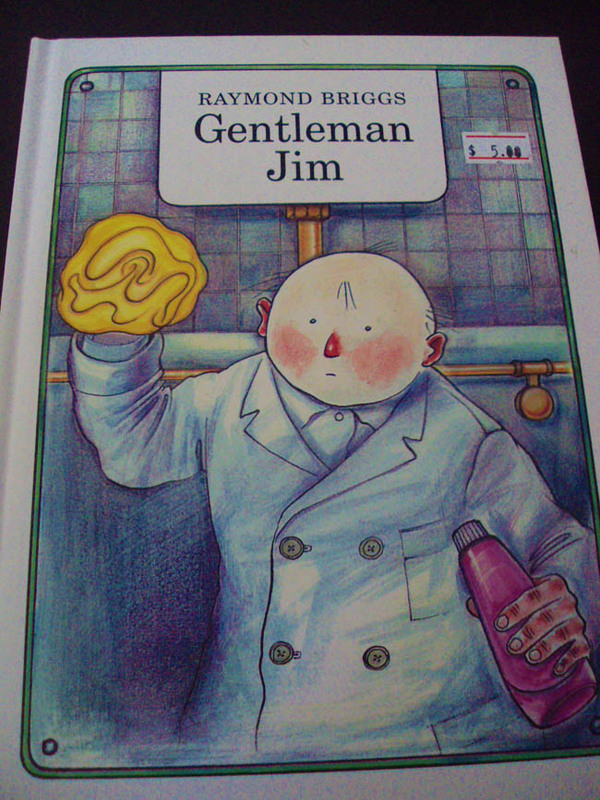 A 2008 reprint of Raymond Briggs’ Gentleman Jim!! Rarest of rarest of finds indeed! I was just blogging about Raymond Briggs the other day and I find him in Lucky Plaza. Hahaha. We don’t even have this at the NIE Library. This is now considered a classic, and having it in hardbound and in mint condition, I have died earlier and gone to heaven, I am soo happy. Hhahaa. So this is the reason for my disappointment at the Popular Warehouse sale yesterday, I have Raymond Briggs in store for me in Lucky Plaza. And the most wonderful thing is that the sale goes on 12 months in a year, 7 days a week! And yes they get new titles every two weeks. 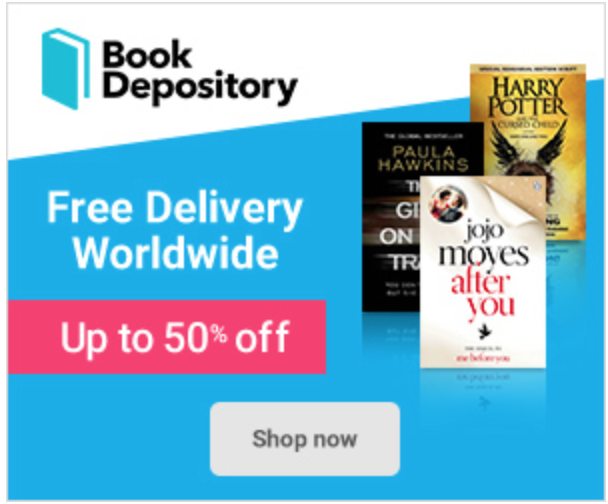 So til the next book shopping everyone! 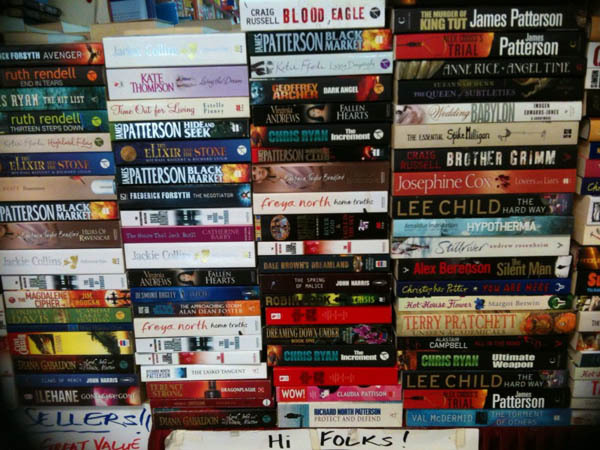 Books and more books. Sigh, if only I could go to Singpore and visit Lucky Plaza. I like the Rushdie. I’m planning to read him soon. I’m going through my reading pile quite rapidly despite the work load in the office and school. I suppose at the end of the day when the choice between the computer and a book is given i’d always choose the latter. And congratulations on finding the Briggs. That’s truly a lucky find since you mentioned it was out of print or something. Very true about the Briggs. We don’t even have Gentleman Jim at the NIE Library and I got it for 5 sgd! Hi Mommy Twinkle! This is a sure hit with Tuya Seth. I promise you. It’s really worth the visit. And the fact that you live sooo close by, I sooo envy you. Hahhaa.